Are you struggling to use your bath? Is it hard to lower yourself into the water, and to get up again at the end of your bath? 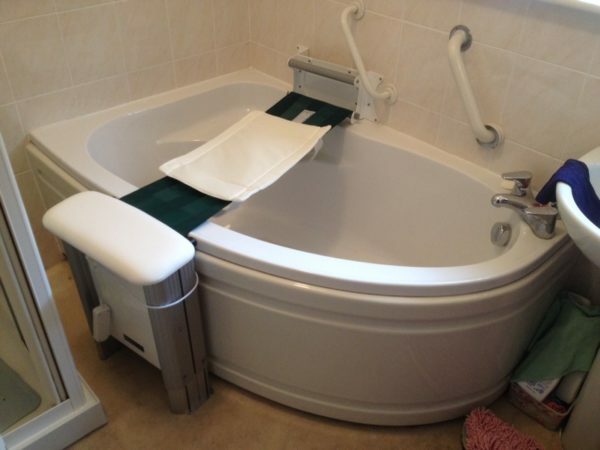 The Molly Bather belt bath lift could be the answer! 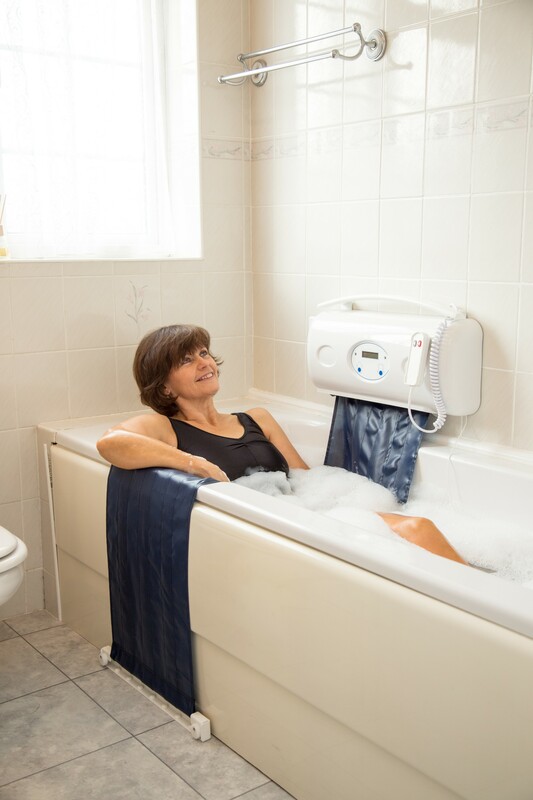 The Molly bather allows you to use the whole length and depth of your existing bath. All that will be between you and your bath is the thin belt material. 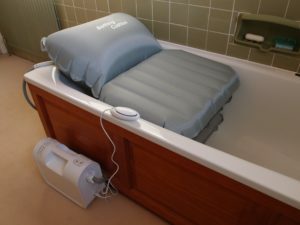 Simply sit on the padded tower top, hold the grab rail, swing your legs over the bath rim, and be gently lowered into your bath. To avoid sideways pull as you lower and rise, a machine washable padded slip cushion is included. 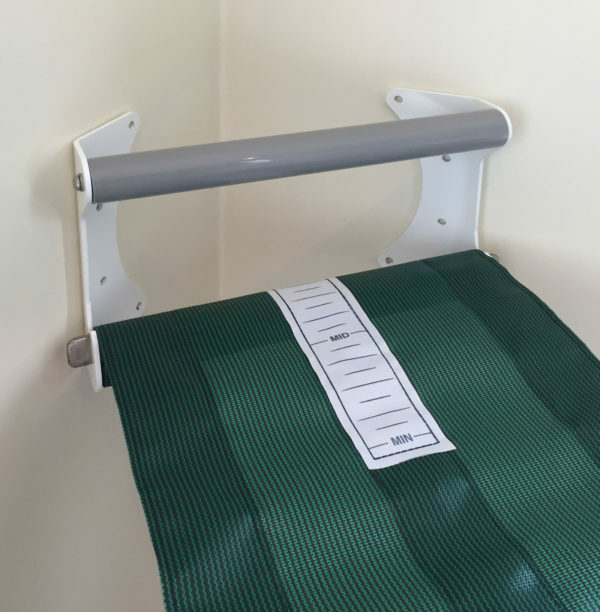 If you require a bit more help when lowering and rising, please choose the extended grab rail. When others wish to use the bath without the lift, you can simply unhook the belt from the wall bracket. Your bath will be exactly as it ever was. 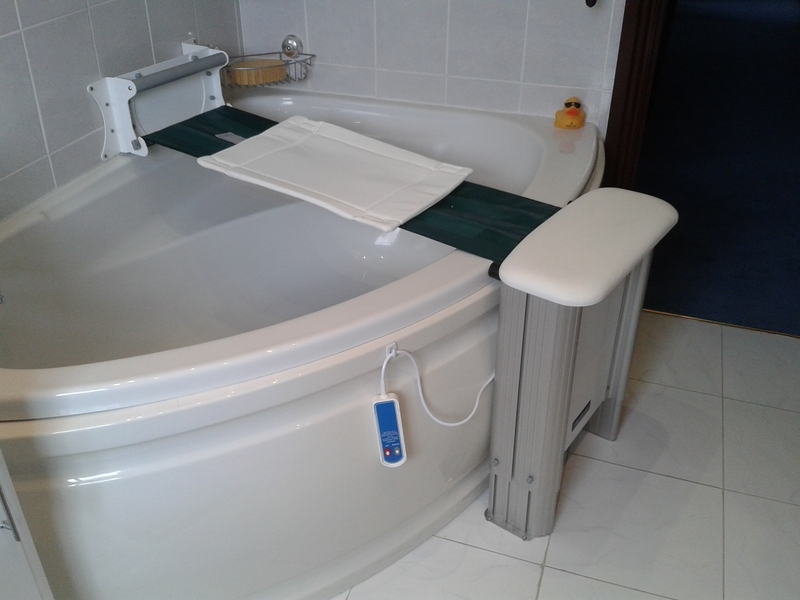 The lift is battery powered so no mains electric supply is required in the bathroom. To charge the battery simply flip up the padded seat, lift the battery out and plug into the charger. The battery will provide around 20 lifts from a single charge – depending on user weight and frequency of use. Installation of the Molly Bather bath lift is easy. 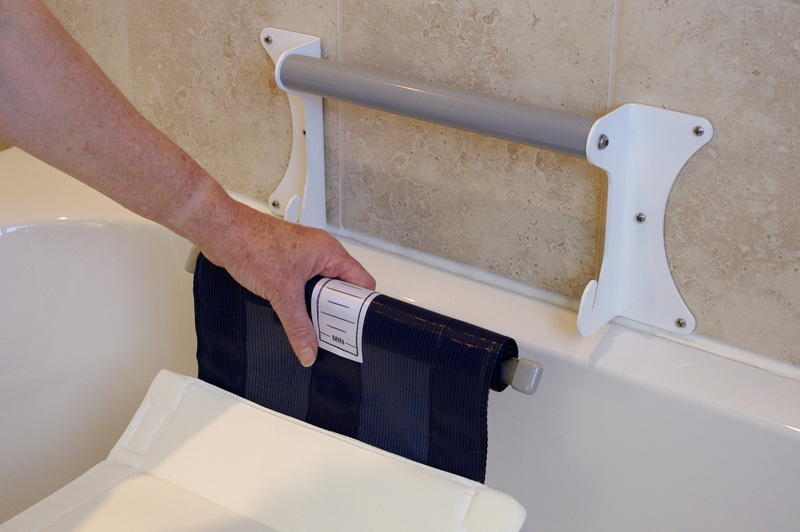 It is height adjustable to accommodate a variety of bath heights, and a variety of brackets and adapters will handle almost any situation. Even extra wide baths, extra tall baths, corner baths and unusually low baths can benefit from this lift (corner bath brackets can be seen in the gallery above). If you have underfloor heating, a special bracket can be supplied which fixes to the bath front panel batten. This avoids drilling into the floor. Please call to discuss if your bath isn’t “standard”. 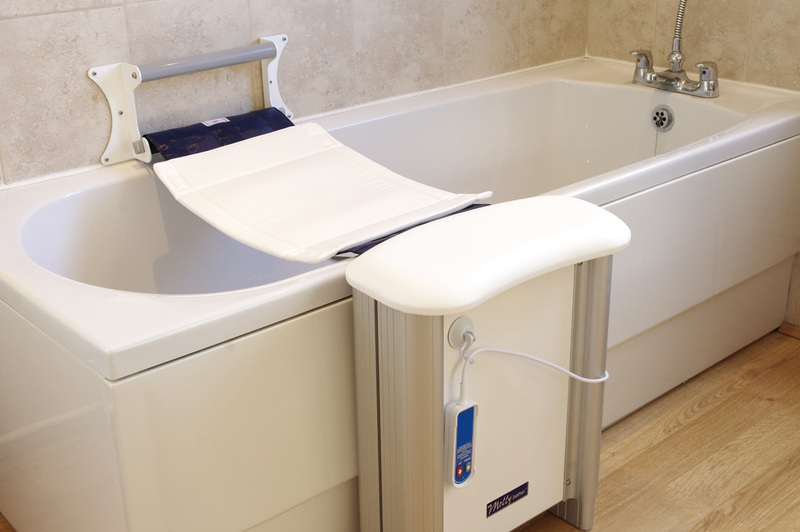 Designed and made in the UK, the Molly Bather bath lift will provide you with many years of reliable service and bathing pleasure. 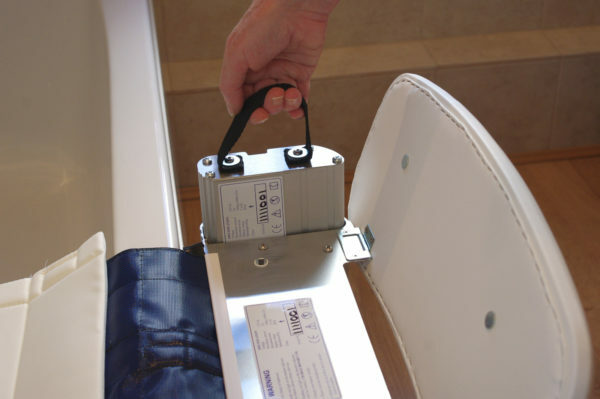 For information on installing this bath lift, please call us or see our Installation section. 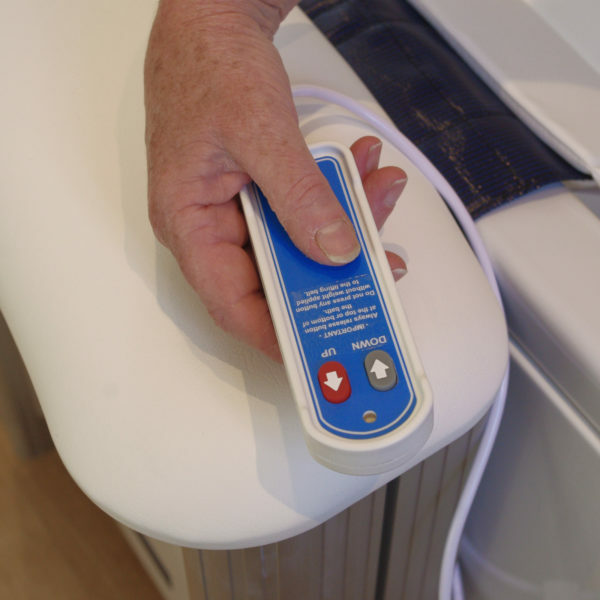 We can install for you within our area (about 20 miles radius from Windsor) – please call to enquire. What a joy. This bath lift has transformed my life. Thanks to Paul and his team for making the whole process so easy.